The London Underground is more than 140 years old, 253 miles long and carves its way beneath London’s most historic sites, disturbing what was laid to rest centuries ago. 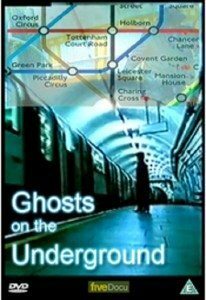 It is no surprise that many strange tales and ghostly sightings are associated with the Underground. Plague pits dug during the outbreak of Bubonic plague in the 17th century have proved a hindrance in building the Underground. Firstly because they were dug so deep to prevent the spread of infection and secondly because no-one knows how many there are or where they are located. The Victoria Line, built in the late 1960s ran into trouble when the tunnel boring machine went straight into a long-forgotten plague pit at Green Park. One case in point is the London Depot on the Bakerloo Line. At the south end lie two tunnels; one exits to the line at Elephant & Castle, the other to a dead end to stop runaway trains. Behind the wall lies one of London’s many plague pits dug in the bubonic plague crisis. No ghostly activity has been reported but few staff are willing to go down there, particularly at night.